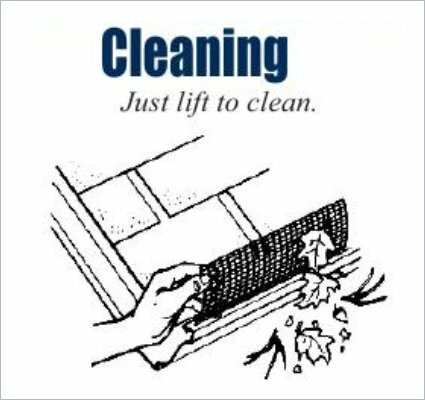 Along with our Half Round Hinged Gutter Screens, this old favorite is probably the easiest and fastest to install. - Made of durable galvanized steel, aluminum, copper. 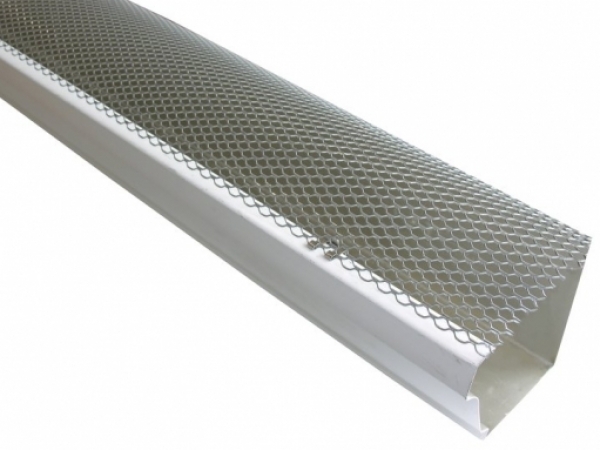 - 50 K Style Hinged Gutter Screens needed for average home. The K Style Hinged Gutter Screen installs in seconds with a push of the thumb. 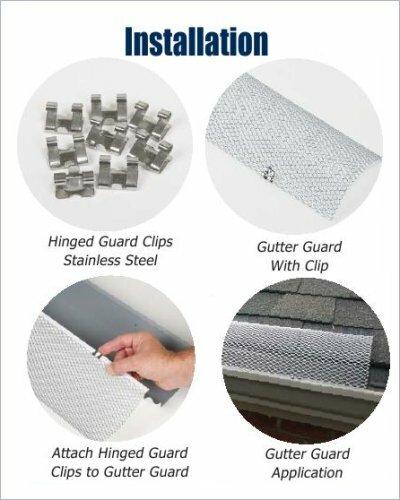 Handy three-foot sections fit any standard metal “K” Style gutters. Simply clip hinges to the front lip of the gutter. 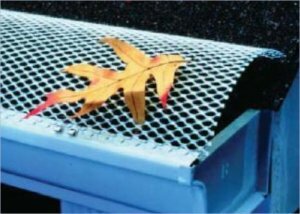 K Style Hinged Gutter Screens are installed on rain gutters to help prevent leaves, twigs and other debris from falling into the gutters and clogging both the gutters and downspouts. 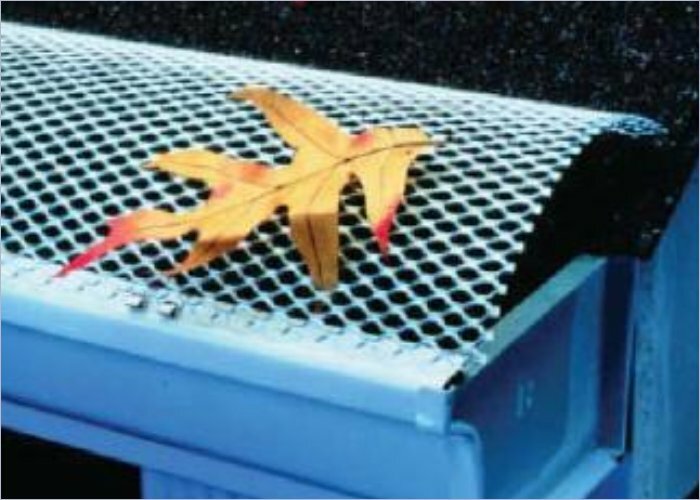 Obstructed gutters and downspouts will prevent rain water and melting snow from flowing through the gutter system. 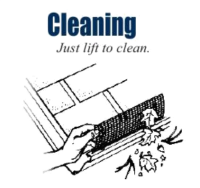 Water that cannot flow freely can back-up and overflow the gutter causing damage to the landscaping and the foundation. Damage to the roof line and the fascia board may also occur if water gets behind the gutter.